A set of eight 3D interior realism mechanical models in FBX 3D model format. 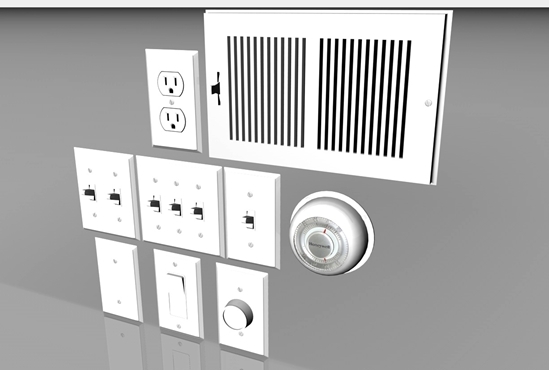 Includes: 3D wall plates, light switch covers, air vent cover, receptacle cover and thermostat 3D models. Contains 29,670 polygons (total all models).